The Energiesprong initiative is planning to deliver drastic energy upgrades to over 100,000 homes in the Netherlands using a wildly ambitious approach to retrofitting the country’s building stock. Now the organisation has moved to the UK, where it is hoping to undertake its first projects next year. 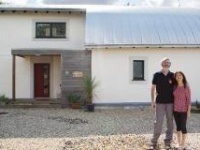 The Energiesprong programme, which plans to deliver zero-energy retrofits to 111,000 homes in the Netherlands, hopes to see its first UK projects getting underway during the second half of 2016 — provided its business case is proven — UK programme director Arno Schmicklerhas told Passive House Plus. Energiesprong, meaning ‘energy leap’, was founded after the Dutch government concluded its traditional approach to supporting energy efficient upgrades — by providing grants to individual projects — wasn’t reaching the number of units needed to make big cuts in carbon emissions. So the Dutch government tasked Platform 31,a government-backed body that brought together innovative minds from different sectors to tackle big social issues, to come up with a better way. Its answer was Energiesprong —a retrofit programme that aims to deliver, in just one week, a renovation that brings each building’s net energy use down to zero. Energiesprong, which recently brokered a deal between Dutch housing associations and construction companies for the upgrade of 111,000 homes, now employs 45 people. So far 1,170 homes have been contracted, and about one quarter of these upgrades have been completed. Energiesprong doesn’t finance or carry out any work itself — its aim is to get housing associations and construction firms working together, and to stimulate the right market conditions so that large-scale retrofit becomes profitable enough to take off by itself. The focus to date has been on social housing, because housing associations can provide the sheer volume of homes needed to drive economies of scale. But the group is now starting to look towards privately-owned homes plus schools, offices and other building types. Energiesprong isn’t prescriptive about how each upgrade is carried out — it merely sets basic standards (see ‘How it measures up’)for energy performance and comfort, and lets contractors decide how to meet them. Each upgrade must be completed within one week, deliver good indoor air quality and thermal comfort, and bring the house’s net energy use (i.e. its energy consumption minus renewable energy produced on site) to zero. Contractors have the freedom to figure out the fastest, best and most affordable way to meet these goals. So far, most have tended to use prefabricated insulated panels — pre-fitted with triple-glazed windows and services — which are then installed over existing walls and roofs. Electrical solutions such as solar photovoltaics (PV) and heat pumps have also been preferred over gas or biomass. Even though it’s entirely up to construction companies how they meet the standard, programme manager Ron van Erck believes it’s inevitable some particular technologies will dominate. “PV is going to be the major energy source of the world,” he says. “The efficiency of the panels will go up, the price will continue to go down.” He also sees heat pumps playing a big role as electricity grids start to rely more on renewable energy and less on fossilfuels. In the Netherlands, the WSW social bank has put forward €6 billion in government-backed loans for the programme, enabling housing associations to pay for upgrade work. For their part, contractors are expected to provide a 30 year or 40 year guarantee of net zero energy performance. After each upgrade, bills remain the same for tenants, but rather than pay for energy supply, they now pay a similar amount for an ‘energy plan’ from their housing association (rising energy prices and future inflation mean this will amount to a big saving over time). This energy plan includes guaranteed indoor temperatures, hot water and an electricity bundle. For housing associations, it creates a long term cash flow to pay off their debt, while the upgrade safeguards the value of their property into the future. But to work on a large scale, Energiesprong will demand a radical reinvention of the construction industry, changing its focus from one-off projects to manufacturing and product engineering. 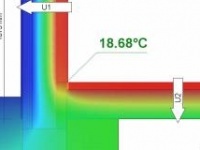 To deliver deep retrofits in such a short time, off-site prefabrication of building elements is essential. But it’s not exactly the same as manufacturing a product — like say a car —and then shipping a few million of them. Even though the Netherlands has lots of terraces, four-storey blocks and high rises, not every building will be the same. There will be different sizes and shapes, windows in different places, and different design preferences among clients. Van Erck admits progress has been slower than anticipated so far in the Netherlands, but he says this is because construction companies are so new to working in this way. They’re still in the innovation phase, reviewing each project after it’s completed and trying to figure out how to make the next one faster, better and cheaper. “It’s much better to have something good that comes a little bit later than to end up with 5,000 faulty retrofits,” he says. Contractors have already driven down costs by about 40% compared to the first pilot schemes three years ago. But what makes Energiesprong special? The pay-as-you-save philosophy — carrying out an energy retrofit and then using energy bill savings to pay for the work over time — has long been heralded as the golden ticket that will stimulate mass retrofit of cold and outdated building stock. But, as the failure of the UK’s much maligned Green Deal demonstrated, it has yet to really work. There are some important differences with Energiesprong. For a start, pay-as-you-save schemes have traditionally employed fairly modest upgrade measures (loft insulation, new boilers, draught proofing) and have assumed that — as long as the economics make sense— consumers will act rationally. Why wouldn’t you spend your spare cash on cavity wall insulation instead of a new iPhone? Think of the payback! But rather than try to entice consumers with economics, Energiesprong focuses on aesthetics and comfort. It relies on the basic fact that ourspending decisions are more often motivated by desire than reason. “It’s about creating a product that is desirable…it makes their house look better and increases their comfort,” van Erck says. In the Netherlands, contractors have offered Ikea kitchens and new bathrooms and other fittings to entice residents to sign up. Contractorswill be responsible for the maintenanceof these properties for the next 30 years, soinstalling new units may work out cheaper inthe long run anyway. The one-week time limit foreach upgrade also means minimum disruptionfor residents. Energiesprong’s sheer ambition also sets it apart. Getting performance guarantees and financing for modest pay-as-you-save upgrades is tough. Sure the house might have some new insulation and a better boiler — but who’s to say how the occupants will use it? What if they decide to heat more rooms now that the house is more energy efficient — and thus use even more energy? But by undertaking a deep retrofit that brings each property’s net energy use down to zero (given certain conditions — see ‘How it measures up’), contractors can be confident in guaranteeing the dwelling’s performance. “This is much more than a pay-as-you-save mechanism…it’s a deeper argument,” says David Adams, technical director of energy services at construction group Willmott Dixon, another of the UK partners. Energiesprong UK is still in its infancy. For now its main goal is to figure out how to transfer the programme from the Netherlands to Britain,and to pre-empt the challenges that may arise. But Arno Schmickler says that — if the business case for investment stacks up — the goal is to sign contracts for the first prototype projects next summer. In the longer term, the group plans to pick 5,000 housing units to kick-start a largescale UK deep energy retrofit programme. He says many of the separate elements needed to make Energiesprong work in the UK already exist independently — prefabrication, passivehouse and fabric-first design, growing experience in deep retrofit. It’s now now about combining them into one package that can be delivered ultra-quick. Sort of like the passive house standard, Energiesprong sets certain technical parameters that contractors must meet and then gives them freedom to decide how to go about it. 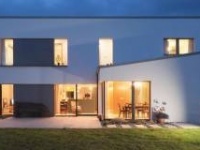 In many ways Energiesprong is even less prescriptive than passive house. 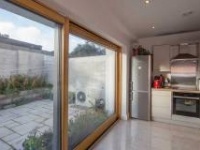 For example, it sets no specific airtightness standard, but assumes airtightness will be a logical part of each upgrade because it is one of the easiest and cheapest ways to reduce a building’s energy consumption — and because it will be nigh on impossible to meet the technical standards with a leaky building.